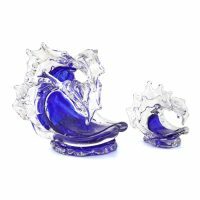 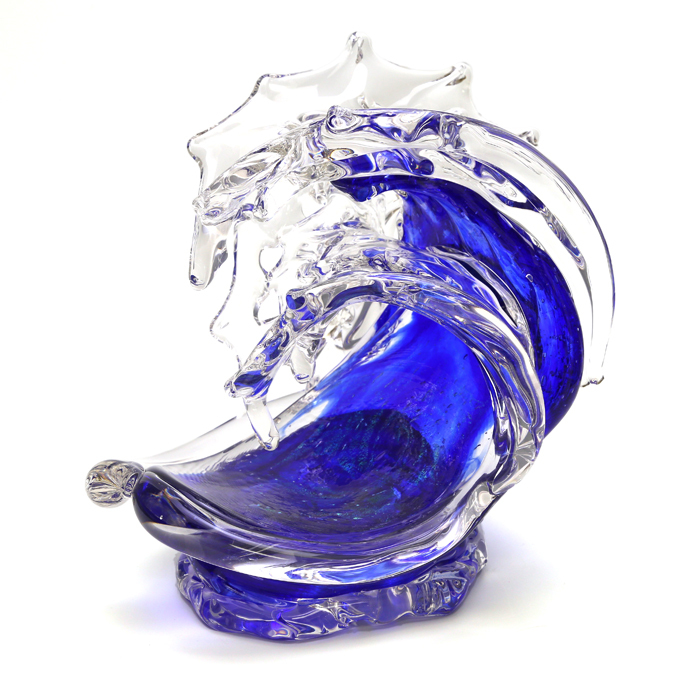 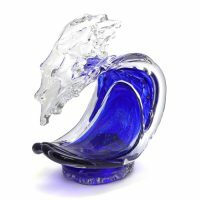 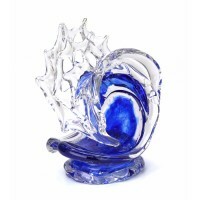 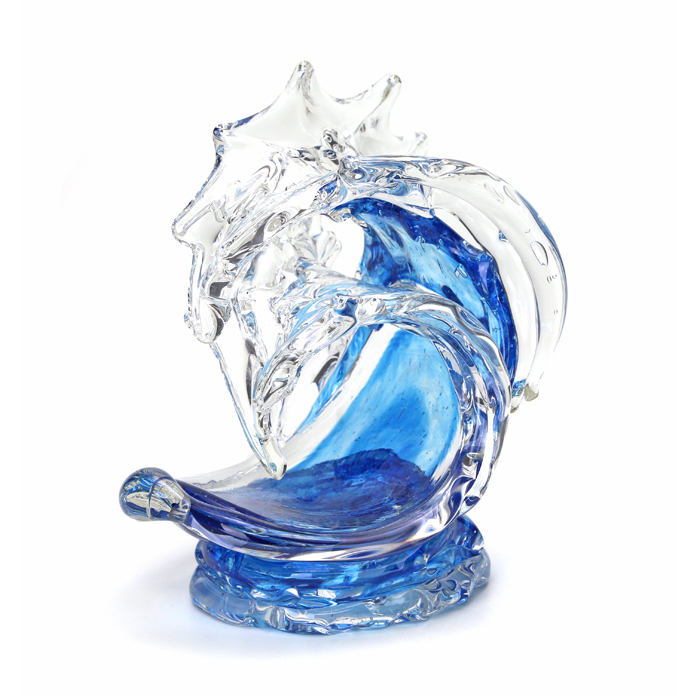 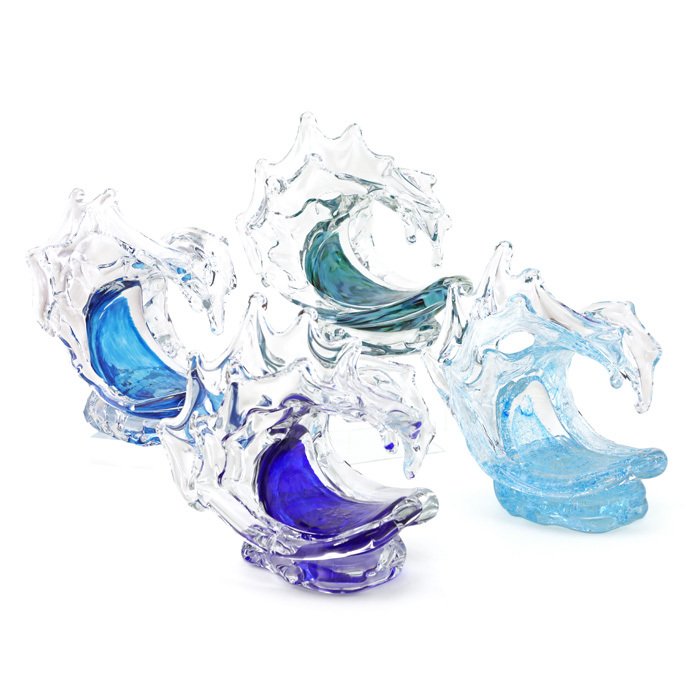 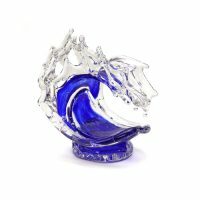 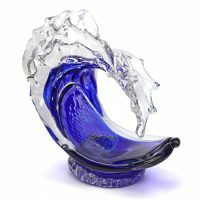 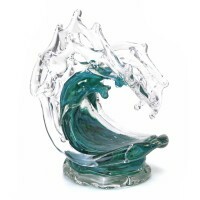 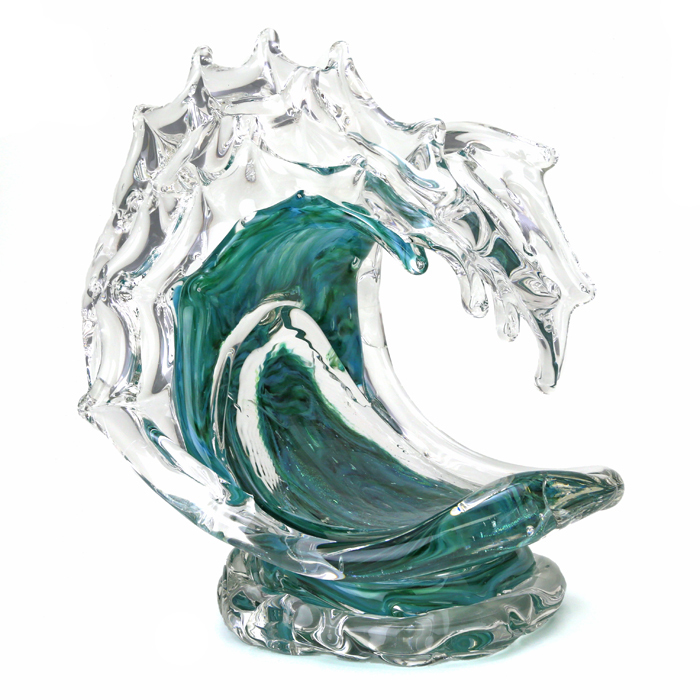 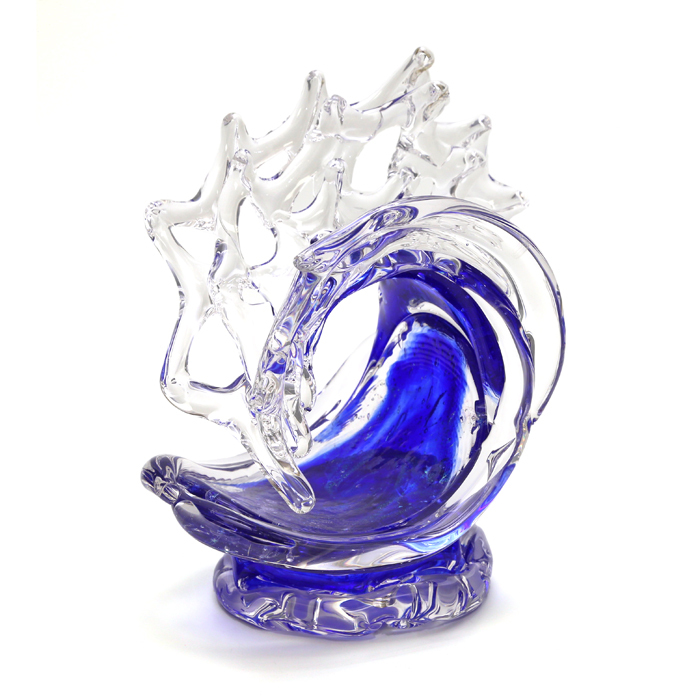 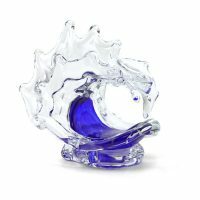 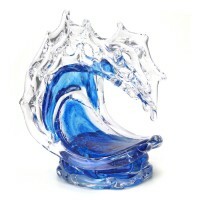 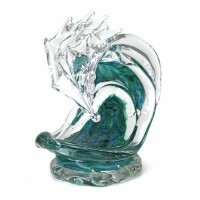 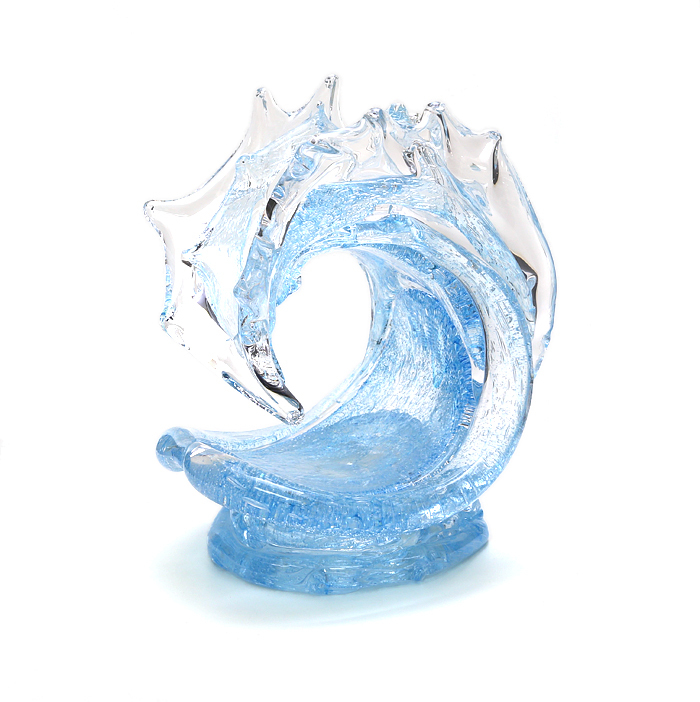 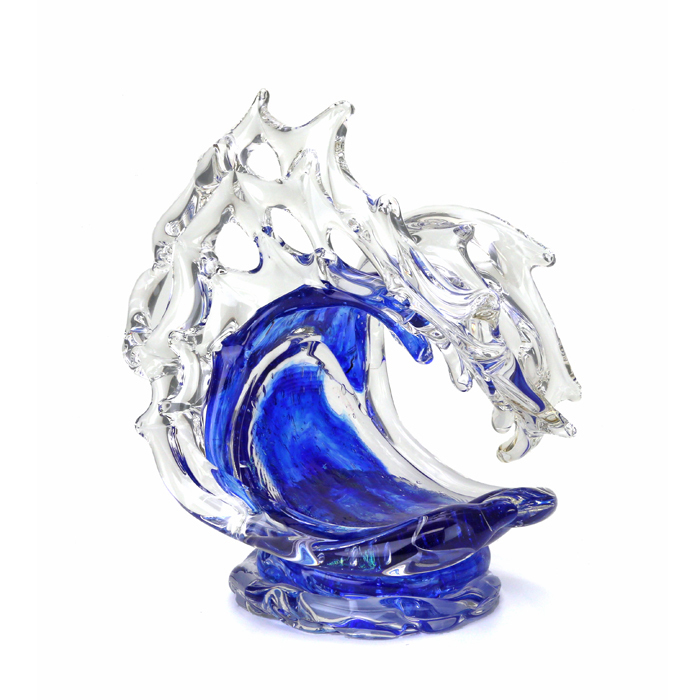 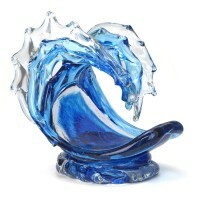 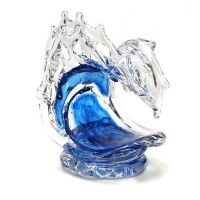 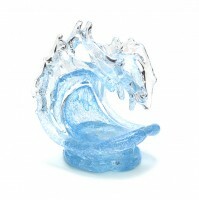 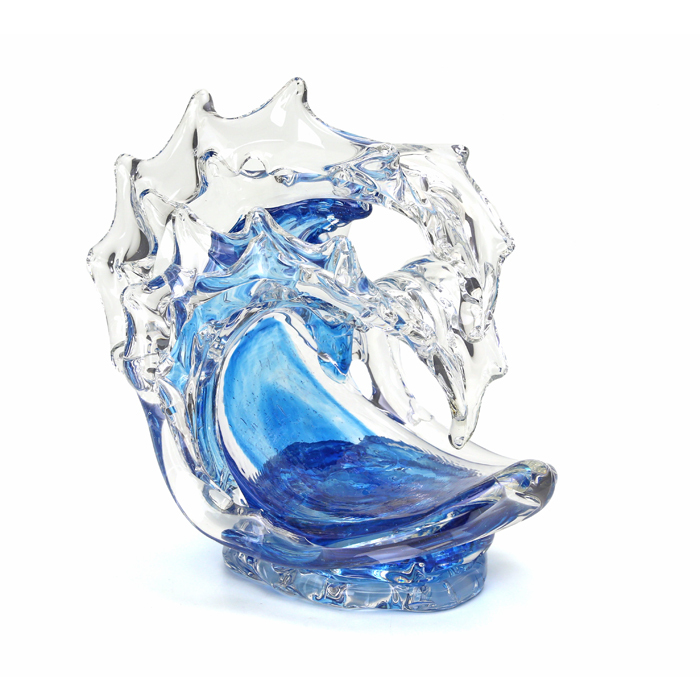 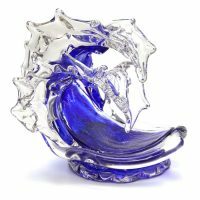 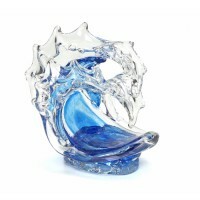 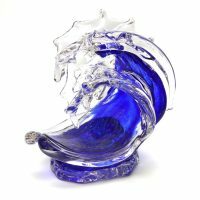 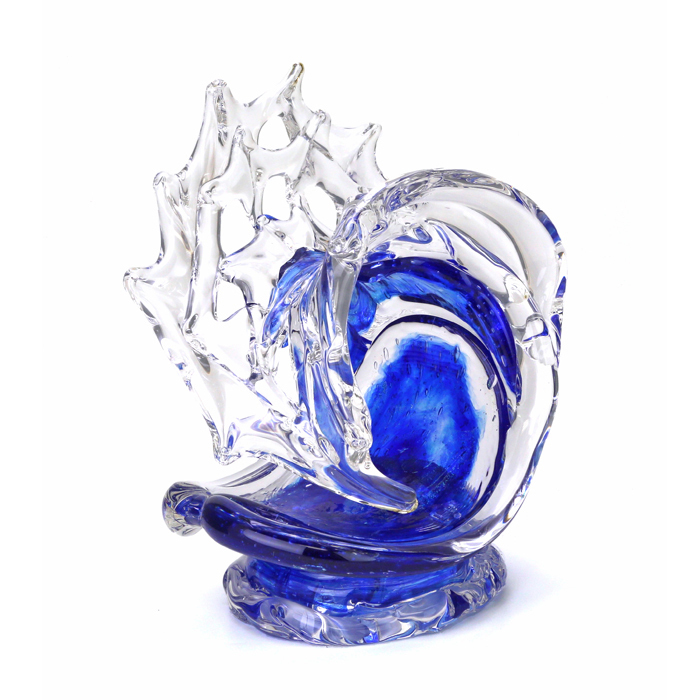 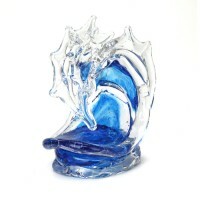 Glass sculptor David Wight is known as “Big Wave Dave” for the fantastic ocean waves he creates. 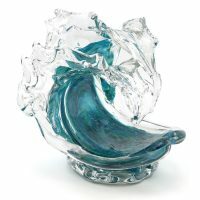 His stunning sculptures are inspired by the waves he’s seen in his Pacific Northwest home and his travels throughout the Caribbean and Hawaiian Islands. 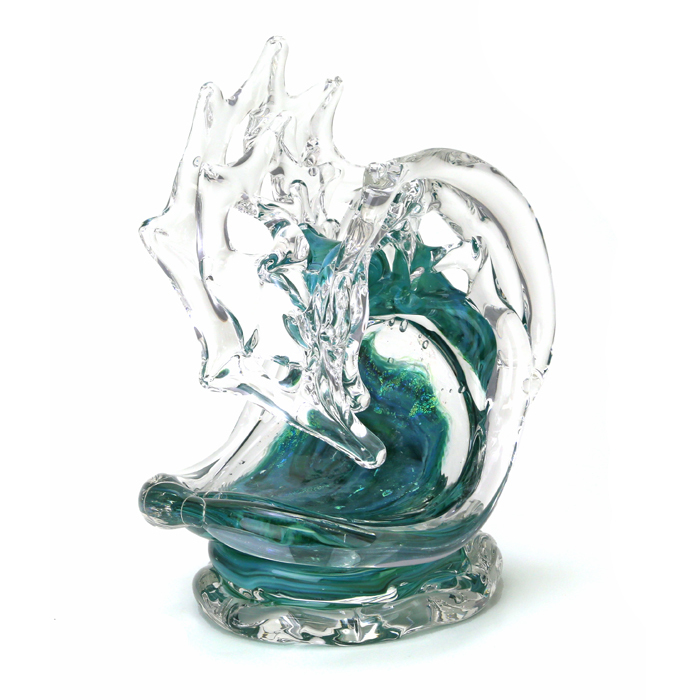 Wight studied at the Pilchuck Glass School under master instructor Therman Statom. 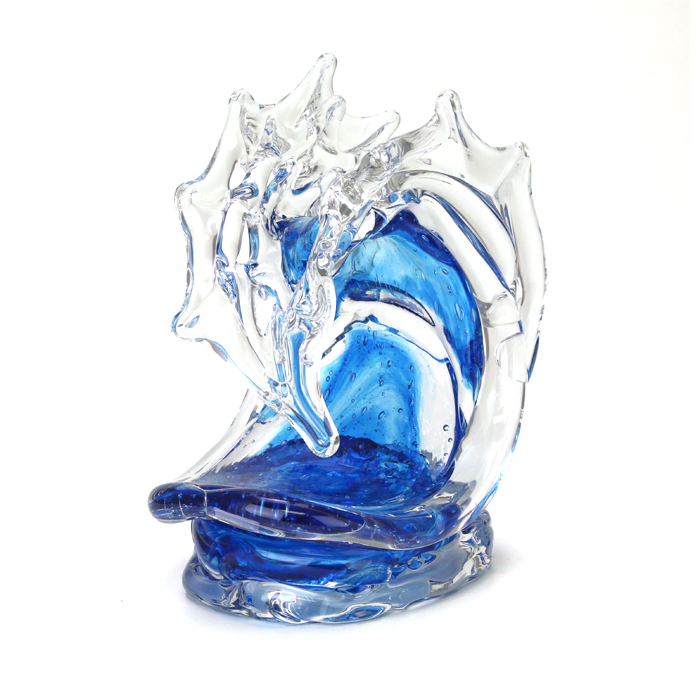 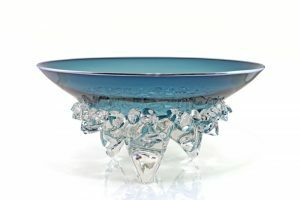 He began his artistic explorations by creating blown glass water fountains. 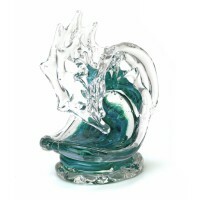 He soon learned he was fascinated by the water itself, and sought to recreate it in glass. 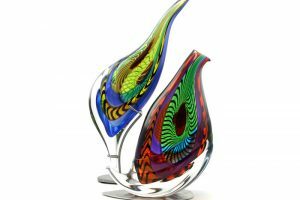 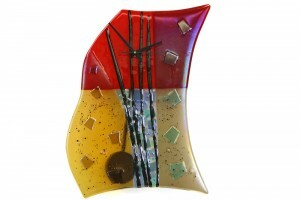 His process allows the glass to have a life of its own, expressing movement and energy in a way uncommon to traditional glassblowing.